Click here to download the full study as PDF. 1. The landscape of American manufacturing has changed. Manufacturing has been a key ingredient in America’s success as a nation — an engine of economic growth, innovation and upward mobility for millions. However, the requirements to stay competitive in a globalized, digitized economy are very different from the pressures that existed only a generation ago. 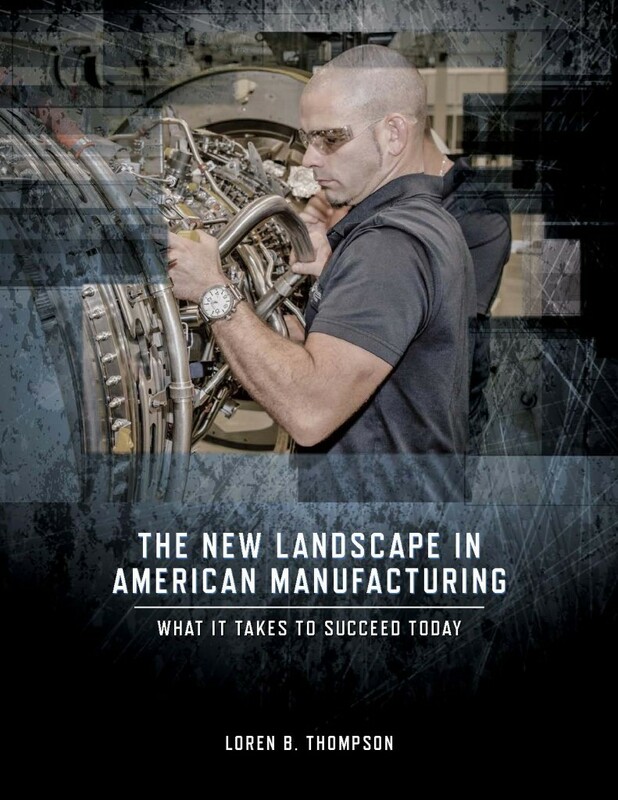 This study is about the steps that U.S. manufacturers are taking to stay ahead, using the experience of 90-year-old aircraft-engine manufacturer Pratt & Whitney to illustrate how the world has changed and how an industry-leading company is responding. 2. Manufacturing is crucial to American power and prosperity. Manufacturing contributes $2 trillion to the economy each year, and generates 60% of all U.S. exports. It also accounts for three-quarters of private-sector R&D. A typical manufacturing worker in the U.S. earns $78,000 annually in pay and benefits, compared to an average of $63,000 for industries without a manufacturing focus. Aerospace companies like Pratt & Whitney are among the most successful U.S. exporters. Pratt, for example, contributes to a favorable trade balance with roughly 90% of manufacturing costs expended in the U.S. and more than 80% of sales overseas. 3. Global forces have reshaped the requirements of success. American manufacturers once were protected by the highest tariffs in the world, but today they must compete in a globalized economy. Roughly 95% of all consumers live outside the U.S. The information revolution — digitization and the internet — has enabled American companies to compete successfully, but that first requires a transformation in how companies operate. 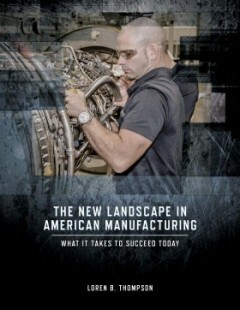 Emphasis on core competencies and lean manufacturing has been crucial to keeping U.S. enterprises on the cutting edge. 4. The new model of a successful enterprise is different from what came before. Major manufacturers no longer organize themselves as vertically-integrated enterprises in which every process and part contributing to a finished product is generated internally. Instead, they focus on core competencies such as design and system integration in which their skills are unsurpassed, while developing strong relationships with a rigorouslymanaged supply chain. For instance, Pratt & Whitney has more than 450 suppliers who contribute to its success. 5. Modern manufacturers depend on a responsive, resilient supply chain. Pratt & Whitney produced well over 50% of its parts internally during the company’s last major production ramp-up in the 1970s and 80s. That number is now roughly 20% because the company has shifted to a focus on lean manufacturing while partnering with suppliers to help address issues related to delivery, quality and cost. In many cases, small and medium-size suppliers are more efficient at manufacturing parts. 6. Lean manufacturers like Pratt & Whitney are investing in their suppliers. Pratt & Whitney has forged long-term agreements with key product suppliers who will provide critical components and parts to assemble engines for customers around the globe. The company is investing extensive technology and training resources in these relationships as it sends billions of dollars worth of work through its supply chain. To receive a hard-copy of this report, please contact the Lexington Institute. This entry was posted in Defense, Economy, Studies. Bookmark the permalink.